Blog Announcing Uncle Funky's Daughter at Kelly Elaine Inc.
We at Kelly Elaine Inc. are always on the lookout for what is best for you! We LOVE all of the curl care products we carry but we knew there were some curls being overlooked that needed some extra love and attention! We are adding 4 new products from Uncle Funky’s Daughter natural based line to our curl care for you: Curly Magic, Extra Butter, Supercurl and Good Hair. Stop buy check it out, they all smell so deliciously good! Renee from Uncle Funky’s was kind enough to send us samples. Read up on these fantastic new products and come give them a try! 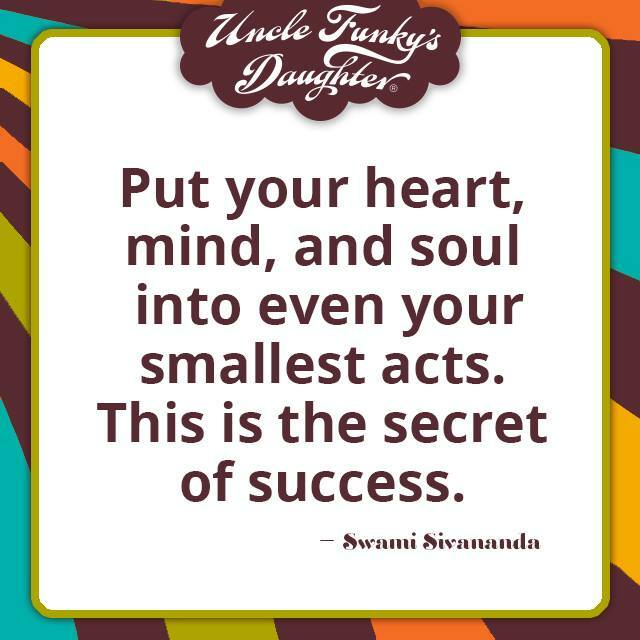 Extra Butter~Uncle Funky’s Daughter Now at Kelly Elaine Inc. A curly hair Salon and such. Super Curl~Uncle Funky’s Daughter Now at Kelly Elaine Inc. A curly hair Salon and such. 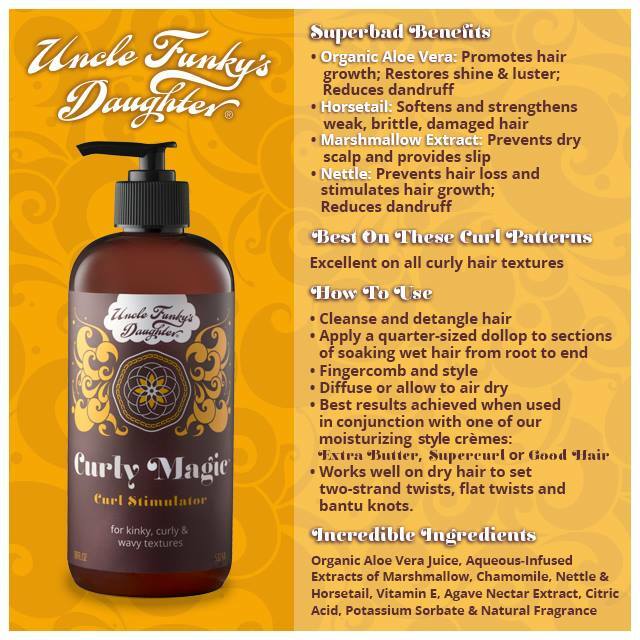 Curly Magic~Uncle Funky’s Daughter Now at Kelly Elaine Inc. A curly hair Salon and such. 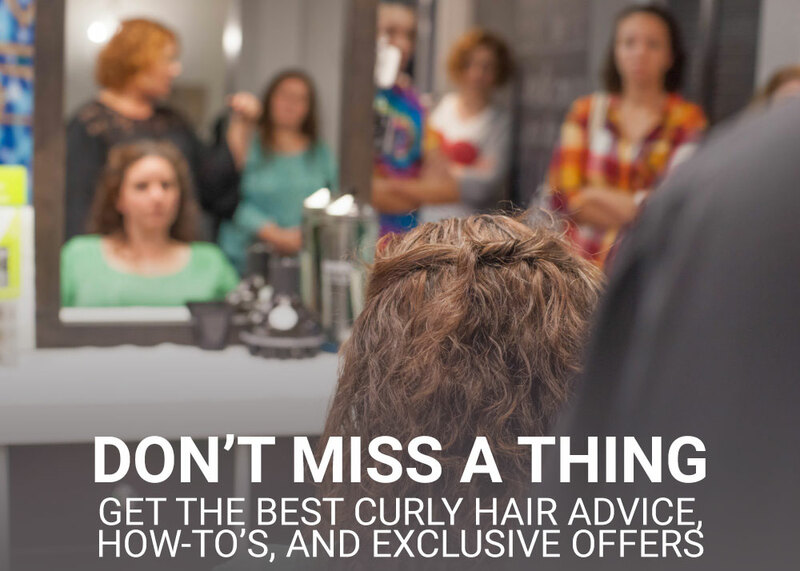 Good Hair~Uncle Funky’s Daughter Now at Kelly Elaine Inc. A curly hair Salon and such.